There could be a spike in the number of deaths of athletes following the inclusion of meldonium on the list of forbidden doping substances, as it protects their hearts while they are pushing themselves to the limit, the inventor of the drug said. “The prohibition of the drug is just a crime,” Latvian scientist Ivars Kalvins, who invented meldonium (also known as mildronate) in the 1980s, told TASS news agency. Kalvins’s creation has been making headlines since Russian tennis star Maria Sharapova announced on Monday that she had tested positive for meldonium. “Make no mistake, the number of deaths among athletes on the pitch will be growing. Who will answer for this? Not WADA (World Anti-Doping Agency) – they’ll shrug it off. This will mean that the athletes themselves are to blame for crossing the line,” he said. “If somebody would’ve called it a doping, I would’ve protested. But it was included [on the forbidden list] as a ‘metabolic modulator,’” Kalvins said. “I don’t know with whom I should fight. But if somebody starts this fight [to remove the meldonium ban] and will ask for my expert opinion, I’d be glad to help,” he added. The news of Sharapova’s failed drug test has drawn the world’s attention to little-known drug, with fears that a host of other Russian sports stars are set to meet a similar fate. The 28-year-old has been banned by the International Tennis Federation (ITF) indefinitely, pending investigation, with major sponsors such as Nike and Porsche putting her advertising deals on hold. The Russian star claimed that she had been prescribed meldonium for health issues going back to 2006. 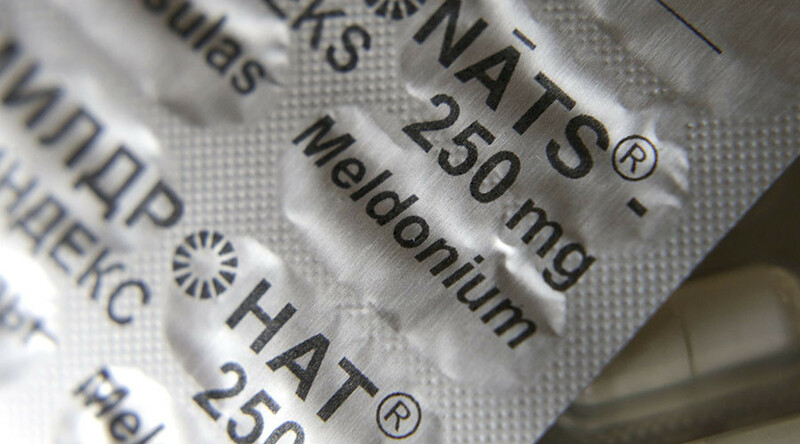 Meldonium, which has been on the market for 30 years, was only added to the World Anti-Doping Agency’s (WADA) prohibited substances list on January 1. The drug is prescribed to help deal with heart problems and blood flow, and so Sharapova’s use of it make’s sense, given her medical history. Sharapova’s attorney John Haggerty was quick to defend the Russian, stating she used meldonium only when prescribed by her doctor. Kalvins told RT’s Ruptly video agency earlier that the medicine is designed to protect athletes’ hearts as they push themselves to the limit during training and competition. “This medication is very good for blood vessel diseases and it was one of the most popular in the former Soviet Union territory,” Kalvins, the drug’s inventor, told RT. Athletes opt for meldonium “to protect themselves during training process because they are working very hard and on the border of the physical capacities of the human body,” he explained. The demand for meldonium is high, as the Latvian drug is used by “about 2 million people,” the inventor stressed. In his interview with the French paper le Monde, Kalvins called the inclusion of meldonium on the list of forbidden substances “a bad decision and a professional mistake” on the part of the anti-doping authorities. Sharapova isn’t the only Russian athlete falling afoul of the fresh meldonium ban. Also on Monday, figure skater Ekaterina Bobrova, the 2014 Olympic champion, announced that she had failed a doping test and will have to skip the upcoming championship in Boston along with her partner Dmitry Solovyov. Traces of meldoniun were later found in the blood of Sochi 2014 short-track gold medalist Semyon Elistratov, and five-time speed skating world champ Pavel Kulizhnikov.